#LocalGov Highlights You Don't Want to Miss! This Monthly Rundown is a collection of #LocalGov highlights from the month of January. 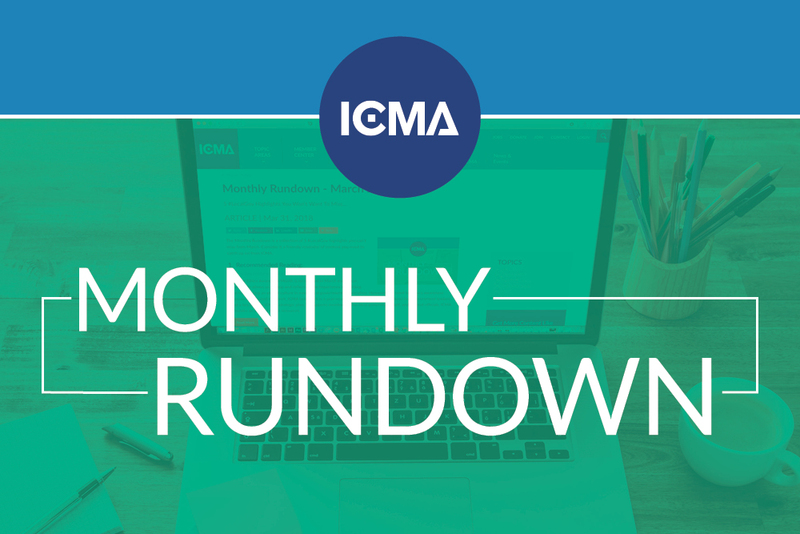 Consider it a friendly reminder of the content you might need to catch up on from ICMA. Timing is Everything: An Interview with Daniel Pink. PM magazine interviews bestselling author and former ICMA Annual Conference Keynoter Daniel Pink on the importance of timing in a local government manager's life and work. Nominate Yourself, Your Community, or Your Colleague for a 2019 ICMA Local Government Excellence Award. ICMA highlights outstanding contributions to the local government management profession through its annual Local Government Excellence Awards Program. This program enables local government professionals and local government programs to receive recognition. 2019 ICMA Regional Conferences. The 2019 ICMA Regional Conferences will send you home with the ideas and know-how you need to reshape and create new innovations in your organization and community. Podcast: Learn as a Mentee, Be a Mentor, and Pay It Forward. Local government professionals share how lessons from good mentors provided a steady hand through turbulent times and helped them become better mentors themselves. Member Spotlight: Caley Patten. Business analyst with Gwinnett County, Georgia, Caley Patten discusses what excites her most about the profession and how she mentors others. For more updates on the latest news about local government, subscribe to the ICMA Blog and watch this space for more blog summaries.